Posted on March 29, 2016 at 12:58 pm. 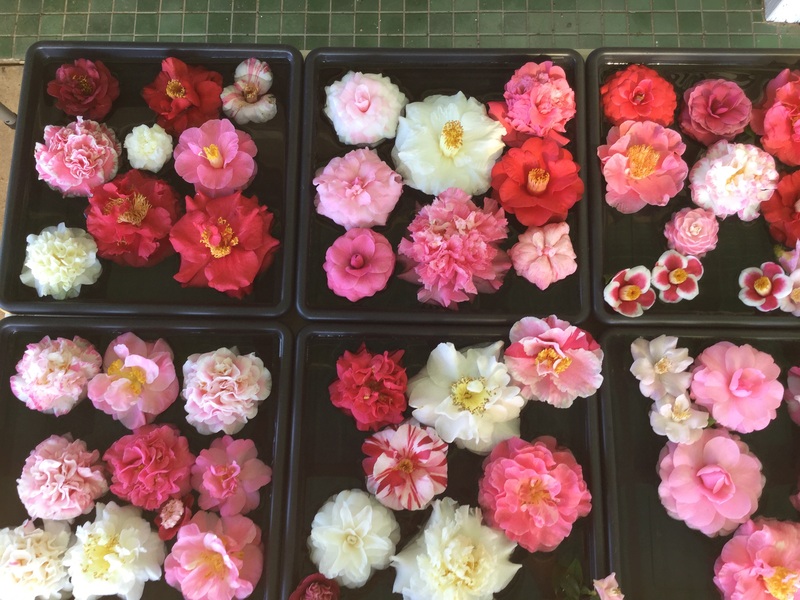 It’s late March and it’s camellia time again. Our first sasanquas – Mikuni Ko, Sparkling Burgundy, Bonanza, Gay and a few others are in full flower and looking wonderful. But it is 30 degrees celsius out in the garden and the flowers need a drink. We have missed all the recent rain but our plants are looking good. Perhaps the cooler nights will kick in soon. 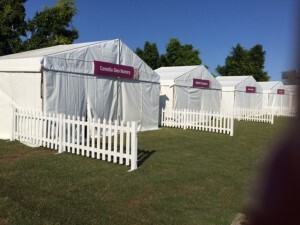 We start our open days this weekend – a bit early, but we have people wanting to visit. So here is a schedule as best we know. If in doubt, please email to sales@camelliaglen.com or phone 07 54450333. Nursery times are 8.00 am to 3.00 pm unless otherwise stated. We do not accept cards, so please – cash. We will also be available at other time during the week – please contact us, as above, to arrange a mutually convenient time. 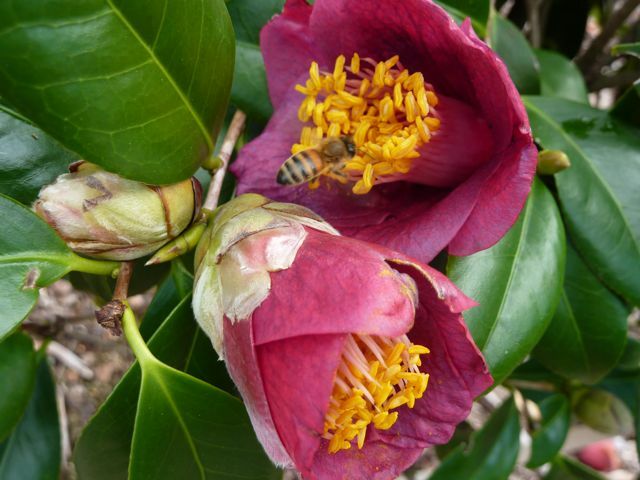 Come visit, walk the gardens and see these beautiful plants in flower. Get out in the garden and get dirty…. Posted on October 23, 2015 at 9:12 pm. We are open to the public this weekend – Saturday 24 and Sunday 25 October – 8.00am to 3.00pm. This will be the last open day for this season….after this, we will be available by appointment as usual. We will have a bunch of camellias available – sasanquas for the sunny parts of the garden – a few hundred in 140mm pots and a nice collection in 200mm pots. We are selling out of some varieties – but that’s the objective. 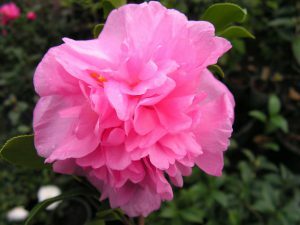 Japonicas – for the semi shade spots, at least part shade – we have a thousand or so across more than a hundred varieties. Most are in 140mm pots, but again we have a small number in 200mm pots. We have some hybrids and a few species well. We need to make some room for new season plants, so drop by and pick up some of the best camellias we have grown. This is a great time to plant, there is new growth showing and getting plants now to either pot up or plant out will result in some amazing growth over the next few weeks. 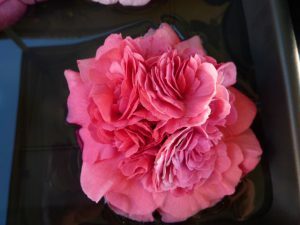 For those who planned, yes, a month or so ago was a better time to plant – before the new growth started, but if you are careful, there will be little damage to the tender new shoots and leaves. When you are planting out, remember to tickle the roots out so that the new roots will not continue to grow in the curled shape of the pot. This helps make a healthier plant in the long term. A light application of fertiliser now, added to the backfill, will give the plants a good run into spring and summer. Water in well – and that means a slow half a bucket worth of water to get moisture right down into the soil. Mulching now will suppress weeds as well as keep the root area cool and reduce evaporation. Look out for little caterpillars and aphids in the new foliage. Squish the grubs and you can hose off aphids. 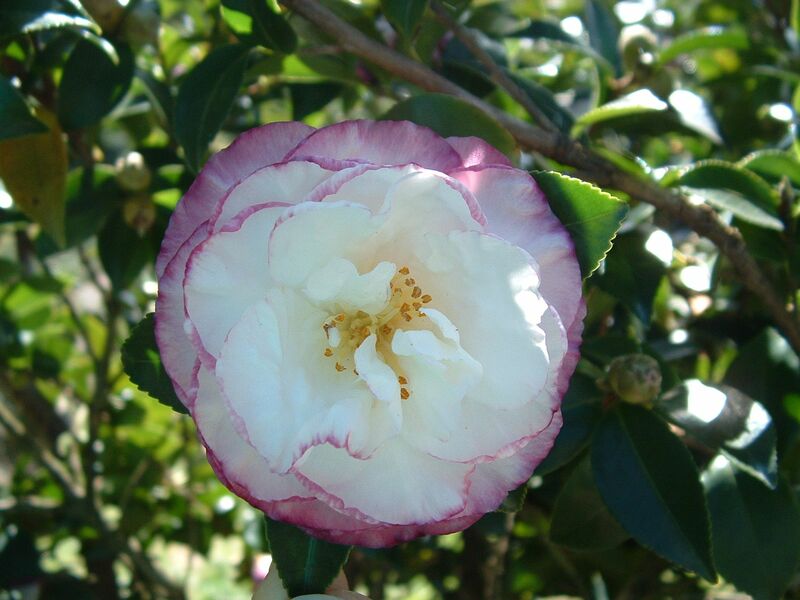 Camellias will make a great addition to any garden, as a specimen plant, a forest or a hedge. Come in and see us, and we can advise you on what might suit your site best. Get out into the garden – its good for the soul. Posted on October 4, 2015 at 2:43 pm. BIGS starts Thursday 8 October and runs through to Sunday 11. 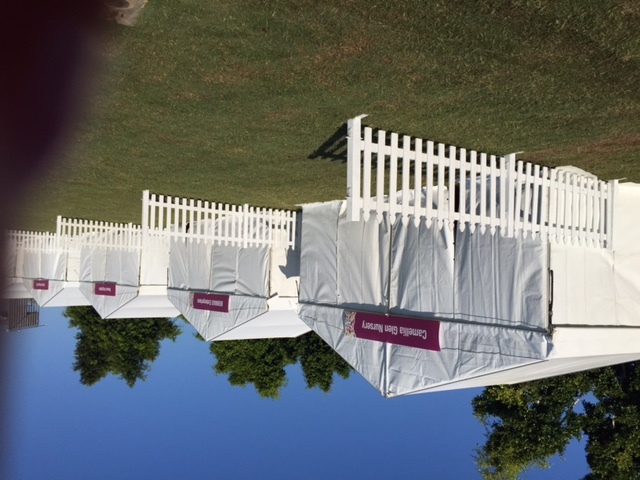 It is all set up and ready to run….almost. It will be the biggest gardening event to hit Brisbane and should be a lot of fun. Although camellias have all but finished flowering, we will still have plenty on display and for sale. 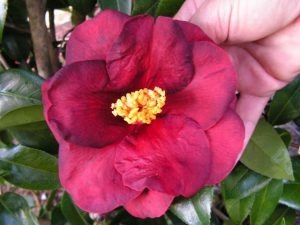 Now is a great time to plant as plants are just putting on their new growth. Plant for that specimen plant in the garden, plant for group plantings, hedges and screens. 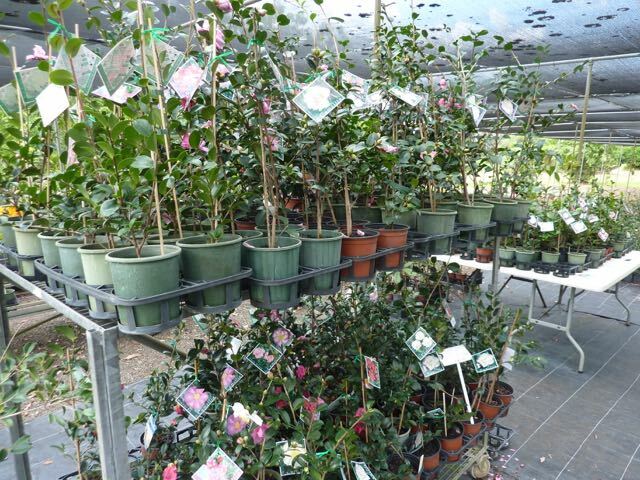 We probable still have more varieties than most people have seen….drop by and see us at BIGS. Posted on August 15, 2015 at 7:08 pm. We have acquiesced to several requests to be open this weekend – so Sunday 16 August – 8.00am to 3.00pm – we will be open. 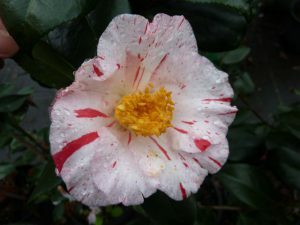 Camellias – still plenty in flower in the garden -many Japonicas and Reticulatas – and still many (a thousand or two) plants – sasanquas, japonicas, hybrids and some species. Camellia sasanquas for that screen or hedge or just for a sunny spot in the garden; japonicas for those part shade positions. Drop in – we will find something for every body. 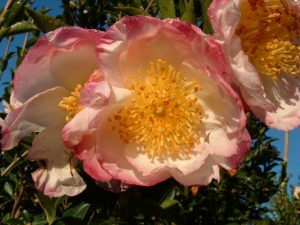 Beautiful weather for gardening – get out in it! Posted on July 8, 2015 at 8:31 pm. 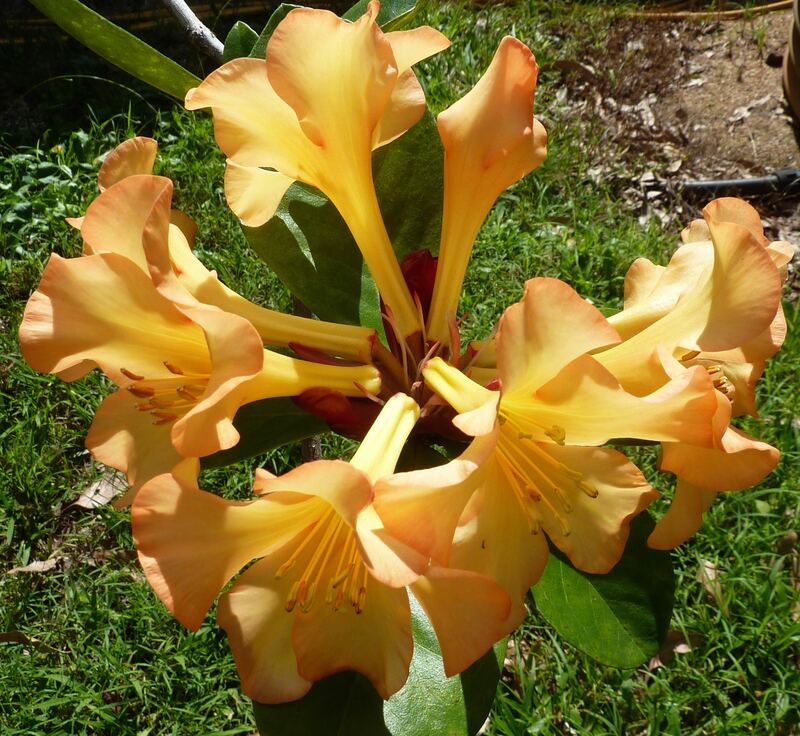 This weekend, at Nambour Showgrounds, Friday, Saturday and Sunday 10, 11, and 12 July, Queensland Garden Expo is the premier subtropical gardening event in Australia. 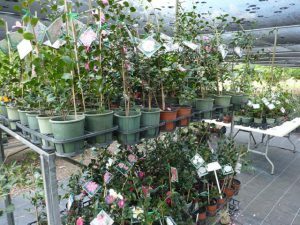 About 300 site holders including over 60 nurseries with thousands of plants on sale each day. 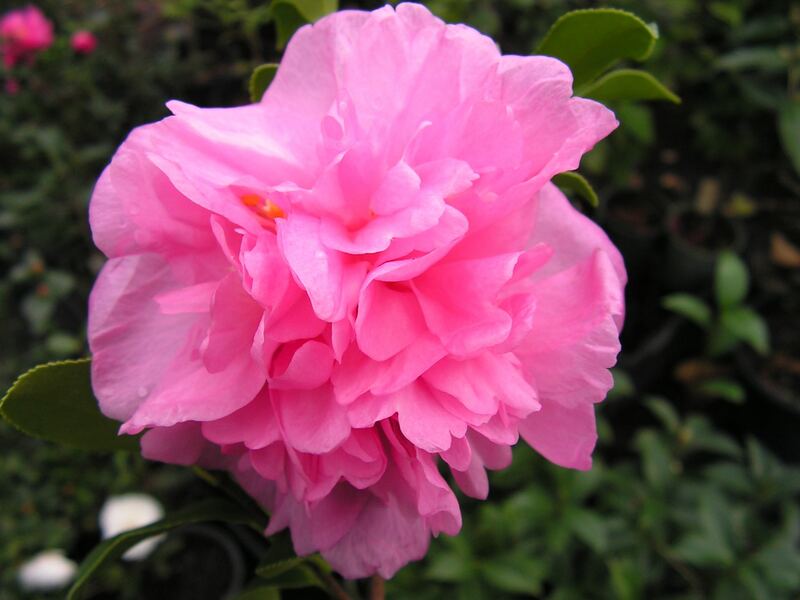 We will be there, site #291, with more camellia varieties that can be seen anywhere – except at our nursery. 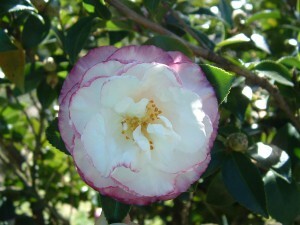 We will have hundreds of camellias, sasanqua for sunny spots, japonica and hybrids for part shade, and some species. We will not have every variety available, but there will be something for everyone. We will be open to the public again the following weekends – 18 and 19, 25 and 26 July and 1 and 2 August. See us at QGE or come to one of our Open Days on the following weeks. 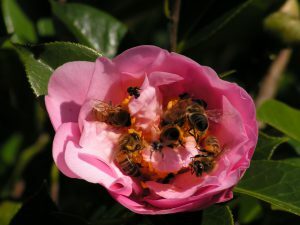 Great time of the year for gardening……especially for camellias. Posted on May 30, 2015 at 2:48 pm. 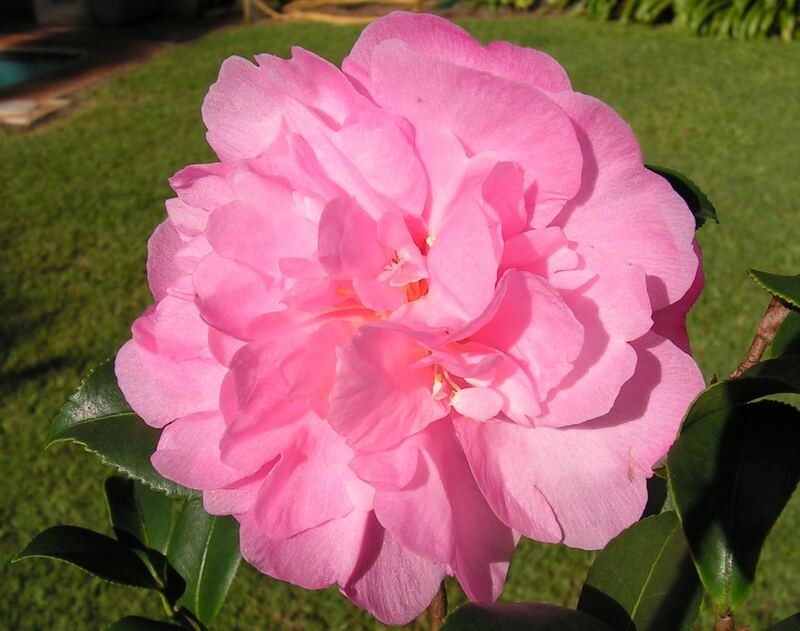 We have had sasanqua camellias flowering since March and we have had lots of visitors to see them in the garden and to purchase some for theirs. A great time to see these lovely things in full flower. Sasanquas will flower for another couple of weeks at least. If you want to see them, then now’s the time. 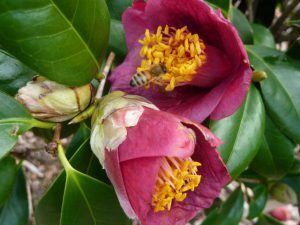 And now the japonicas have started to flower – they have been spot flowering for a couple of weeks, but this weekend we have some beautiful flowers out. Some flowers we picked from the garden this morning.